The first time I made my own salad dressing, I swear I felt like I had cracked open a fault line in the universe. Like, it’s that easy? That delicious? That much healthier? Yes, yes, yes. Tt’s such a casual and easy way to up-level a meal because who makes their own anything these days? No one. Except for us. Solidarity for the home chefs! 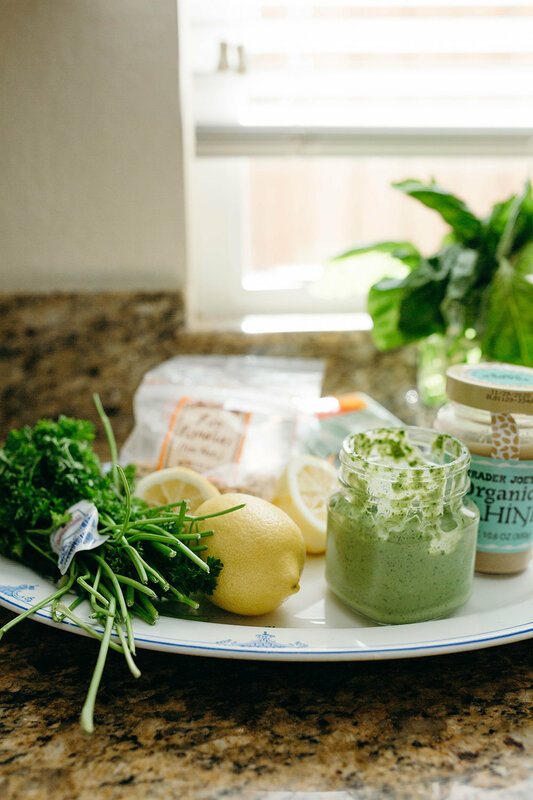 This green goddess dressing guide (it’s a bit loosey goosey to be called a recipe) comes by way of a friend, Lauren, who is that home chef. She’s effortlessly whisking up inventive vegan recipes and laughing and gorgeous and her husband is awesome and her daughter is a doll baby. They’re gold. I met her by way of her hubby, working out of his office space when I owned my own business for a while. They’re cool and have tattoos and are just radness. Lauren is my favorite kind of food person to follow because she’s real, doesn’t take herself too seriously, and gives you guidelines as opposed to straight up measurements. You can find her here on Instagram, or here on her website. The gift of not following a strict recipe is boundless - you get to hone your instincts and follow you tastebuds. How cooking and life is meant to be. Chef’s Note: I used my dressing for pasta, like Lauren did. I added cooked peas and raw spinach to mine (so did she, along with arugula). You can also use this dressing on salad, baked potatoes, bread, anything - it’s VERY versatile. 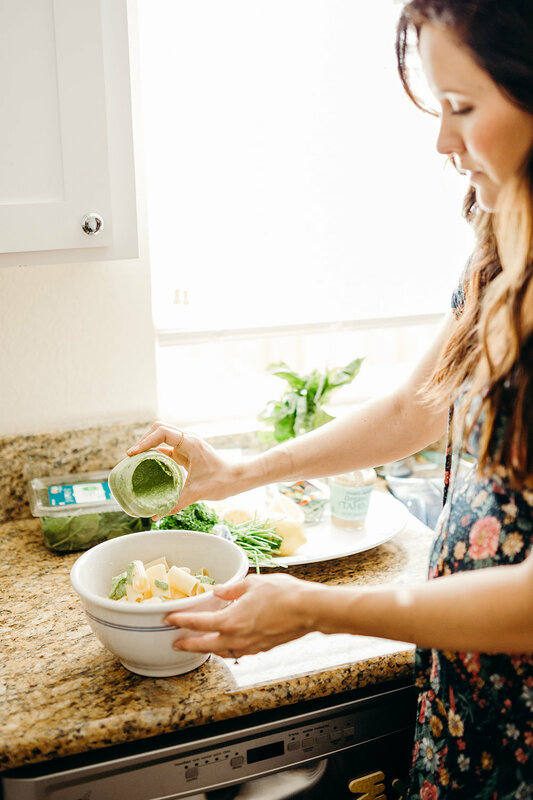 Let nothing hold you back from dousing green goddess on all the things. I stored mine in a mason jar for about 4 days.